A solid surface material made from acrylic polymers, fillers and non-toxic pigments, Corian is durable and easy to maintain. Corian is a non-porous material that inhibits the growth of mold, mildew and bacteria, and resists stains and scratches. Corian can be wiped clean with most common household cleaners, and minor stains or scratches can be repaired by the homeowner. Corian does not require sealant; there is no surface coating to wear away or peel off. Because the pattern goes all the way through, Corian countertops can even be refinished to keep their fresh new look for years to come. Corian is available in a surprising array of trendsetting colors and patterns. Solid or flowing, contemporary or traditional, natural hues, metallics, deep tones- you can find your style in Corian. Add several edge options to the many styles, and enjoy Corian countertops in any room of your home. Take a look at our image gallery to explore the possibilities. Corian design excellence doesn't stop at just countertops. With Corian sinks and backsplashes integrated into your kitchen or bathroom design, care has never been easier. When selected in the same color as your countertop, Corian backsplashes can be installed to create the illusion of a single solid surface. 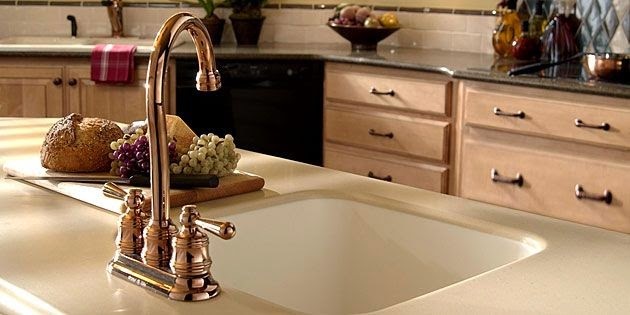 Available in a range of solid colors, Corian sinks are as easy to maintain as they are pleasing to the eye. When compared to other solid surface countertops, Corian is very affordable. Corian even costs less to ship. Natural stone countertops, such as granite and quartz, must be shipped in an "a-frame" configuration to avoid damage. 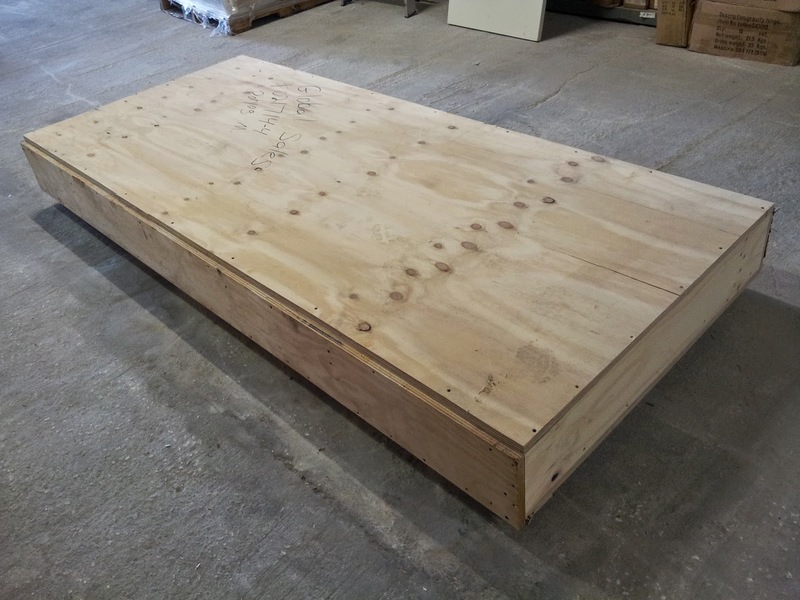 This means that the crate must be quite large, taking up valuable shipping space. Corian, on the other hand, packs flat and ships economically to save on space and cost. 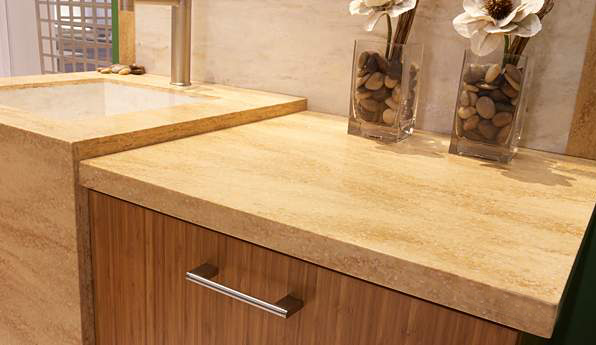 To learn more about Corian and other great countertop options, click here.